Wow – What a year 2017 has been! I know, I know… the first of the year is that cliche, traditional time to reflect back on our past experiences in 2017 and set intentions for 2018, but I have a really important reason to be reflecting this month. January 2018 marks one year that my private Facebook group – the Honestly ADHD Parent Support Group – has been in existence. Last year at this time, I was determined to help parents who were feeling like I had once felt – lonely and isolated – form real connections with other parents. And I did it! We started at literally 2 people… me and my own mom (moms can be so amazing, can’t they?! )… And at the time I’m writing this, we are over 18,000 members!!! 18,000+ moms and dads just like you! If you ever thought you were the only one going through your ADHD struggles that’s clearly not the case anymore. In light of this anniversary, I’ve been reflecting on all that we accomplished together in that group. On the brightest of bright sides, I’ve witnessed unparalleled connections made between parents. I’ve seen people uplifting each other, infusing one another with hope, and offering each other knowledge and awareness about ADHD and all the craziness that come with it. The positives have blown any of my initial expectations right out of the water. On the not-so-bright side, though, I also witnessed despair, sadness, and a feeling of “hopelessness” from some. There were posts and comments that were very hard to hear. In part, because if you rewound my personal life tape a few years, you would have heard similar things come out of my mouth. I remember how painful that time was. Which brings me to you. I know that many of you are in really low places right now. The holidays were less than magical, school has taken its toll over the last number of months, family get-togethers has created more stress than joy, and your progress may feel like it’s stalled out or reversing all together. You might feel like you’re in a really dark tunnel. I’ve been in that tunnel. I can tell you from experience that when you’re in the dark tunnel, it’s hard to appreciate much of anything about life. Sometimes when we’re in this place of darkness our own actions and thoughts start to become all convoluted. We start resenting our own children, getting angry easily, and not resembling the person that you ever thought you’d be when you imagined being a parent. I mean, who wants to go join “moms night” with all those moms who have it all “together?” (Whatever that means…). I know I didn’t. And so I found myself alone in the darkness. So here is what I need you to know right now, at the beginning of 2018. I see you. Even in the darkness, I see you. I see you as a mom who desperately wants to help her child. You’d do anything for your child if you thought it would work… but nothing seems to be working. I see you worried sick, and frustrated, and feeling angry about the hand you’ve been dealt. Especially when the answers don’t seem very clear. I see you as a human being with her own desires and wishes and needs in this world that frankly you’ve likely left behind long ago. I see your tears. Your sleepless nights. I see your heart breaking when your child struggles. And I see it breaking even more when you don’t know how to fix it. Now, I need to ask you… did you make your New Year’s Resolutions for 2018? ​​​​​​​And if you did, did you DARE to include becoming the parent your ADHD child needs you to be on your list? Or did you leave that one off… because it doesn’t seem like something you can tackle anyway? Maybe you didn’t even think of it as a resolution because you don’t have any idea where you’d start. Well, regardless of your own confidence in your ability to become an amazing parent to your hard-to-parent kiddo, I want you to know that I believe in you. 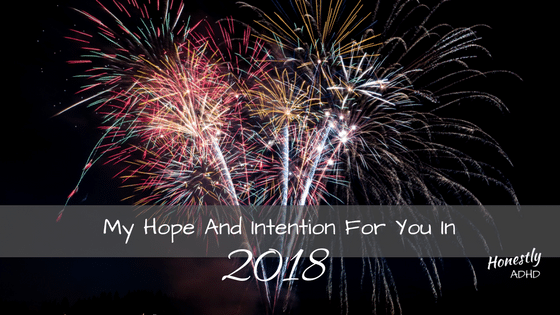 So, even if you didn’t show up on your own list, I want you to know that you have shown up on mine – I have a wish and intention for you in 2018. If you are someone who is in the dark tunnel, my intention for you is a year in which you start to see the glimmer of light at the end. And if you are one of the lucky parents who is already seeing a flash of light at the end of the tunnel, my intention for you is to move yourself closer and closer to the light, making it bigger, brighter, and more regular. How does it sound to make 2018 a year when you shift your entire perspective about you as a parent, your child, and your child’s behavior, and begin to see the glimmer of light? Now, notice, my intention for you was not to solve all of your child’s struggles. Or yours for that matter. Our children are working with brain mechanics that are simply different than neurotypical kids. They’re dealing with developmental delays that are not understood by most people in their immediate world. They are misunderstood, and you will work long and hard to help your child tackle their struggles well past 2018. It’s funny how it works, but knowing that there is a light at the end of the tunnel allows you to stop and smell the flowers that you couldn’t even see before. Instead of focusing on what is going wrong, you are able to notice the little improvements. Knowing there is light at the end of the tunnel makes you confident enough that you can catch glimpses of real changes in your child’s behavior you might have missed before. You’ll notice when your child is able to pause to catch an impulse, or take another person’s perspective; plant a seed to a new friendship or control his emotions just a little better. You’ll smile a little more genuinely, recognize the good more often, and notice things about your child that you may have completely overlooked when it was just too dark to see. 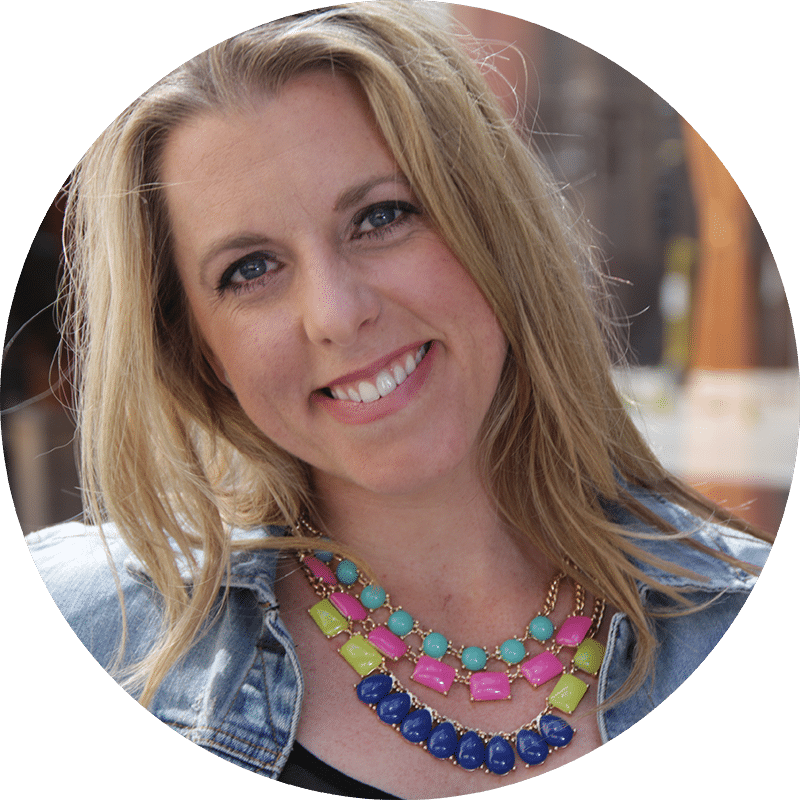 And, here is what I know about parenting kids with ADHD and getting out of the dark tunnel you may be in – the change has to start with you. For many of us it means challenging fundamental beliefs about being a be a parent and how – and whether – to discipline. You may need to re-think the goals you hold for your child, or the standards you are comparing him to. It surely means deepening your knowledge about what exactly ADHD is how it impairs your child’s every day responses to life’s challenges. It means reaching a level of acceptance and acknowledging the perseverance that ADHD will demand of you. And it certainly means embracing aspects of your child or parenting that you might be resisting wholeheartedly. For many parents this is really hard work and they don’t know where to start. This ended up being a really long email and if you stuck with me, I applaud you. You’re clearly ready for 2018 to be different for you and your family. Now, listen up. Exactly one week from today I’m going to be inviting moms like you to something really fun designed to help you begin to make that internal shift. Every single person can participate – it’s going to be 100% free – and we’re going to get you on the right path right away in 2018 so that you can begin to find that glimmer of light and help your kiddo thrive! SERIOUSLY! I have goosebumps just thinking about 18,000+ moms and dads making this shift together! When I get emails or messages from people who are going through this shift who explain the positive impact it has had on their lives, it brings tears to my eyes every time. I can’t even IMAGINE how much positive energy we are going to create together with this little parenting party I’m throwing! So if you’re not in the Facebook Group yet, click here and get your behind in there. Stay tuned for announcements that will be coming in exactly one week! 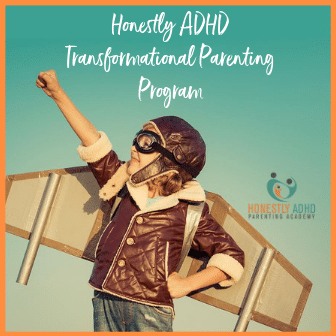 Click to learn more about the next session of the Honestly ADHD Transformational Parenting Program STARTING SOON! Click to learn more about the NEW Honestly ADHD Book Club. Next Session Starts Soon!